Home » Silver Metal » I need help identifying a small antique silver piece fromSwitzerland? I need help identifying a small antique silver piece from Switzerland? My mother has a small(2 grams) silver pitcher from Switzerland that her father gave her as part of a larger set, which we do not have. 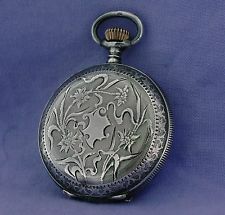 It is rather plain but it does have an engraving on the bottom. It says "Tea Room Matter" which I assume is the line of collectibles, 2 GR, 02cl. , Berndorf Luzern. All I can conclude from internet research at this point is that Berndorf Luzern was/is a company in Switzerland that manufactures housewares. Anybody have information on this piece, or what 02cl. means? Is it possible to date this piece from the description or a picture? This pitcher is not of a line of collectibles but a stolen piece! :-) "Tea Room Matter" is the name of the owner whom from your grandfather or who ever took away this pitcher. Owners of restaurants or "tea rooms" used to engrave their properties in order to recognize such pieces later. Matter is a Swiss family name. Stealing tea spoons or pitchers used to be a very well know pastime in Switzerland when such pieces were produced in silver. Less so nowadays as they are made from stainless steel. "2 GR" (= 2 grams) describes the contents/purity of silver in the the pitcher. "02 cl." (= 2 centiliters) is the contents the pitcher can hold. Berndorf (http://www.berndorf.ch/ ) is the company that produced the piece.